WASHINGTON -- Republican Sen. Thom Tillis of North Carolina collapsed during a Washington, D.C., race Wednesday morning and was taken away by ambulance. Tillis, 57, was seen on the ground being administered CPR by bystanders at about 15-20 minutes into the race, which started at 8 a.m. The three-mile race was being held in Anacostia Park in the southeast part of the city. Tillis at first appeared unconscious but was revived and breathing when taken away by ambulance from the ACLI Capital Challenge Three Mile Team Race. Tillis was participating in the ACLI Capital Challenge race, an annual event in Anacostia Park in the district. He was leading his own team, "Team Tillis." 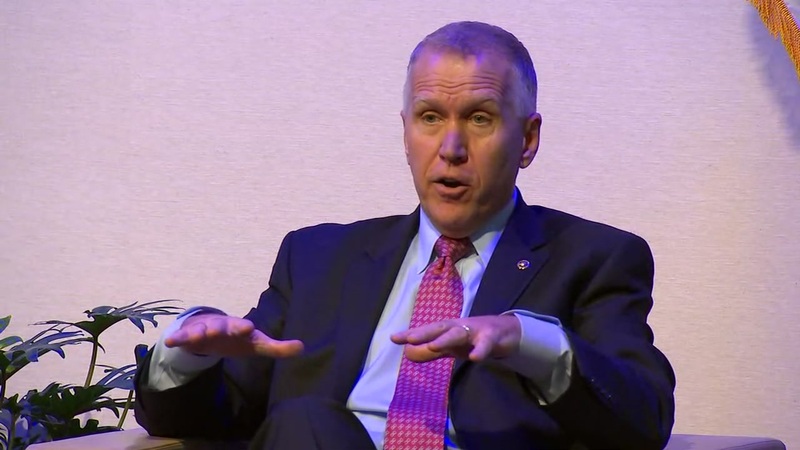 Tillis is the junior North Carolina senator, elected to the Senate in November 2014 after serving in the North Carolina legislature from 2009-2015. He serves on the Senate Armed Services, Judiciary, Veterans Affairs and Banking, Housing and Urban Affairs committees, as well as the Senate's Special Committee on Aging. He is married to Susan Tillis with two children. It was not immediately known what hospital Tillis was taken to.